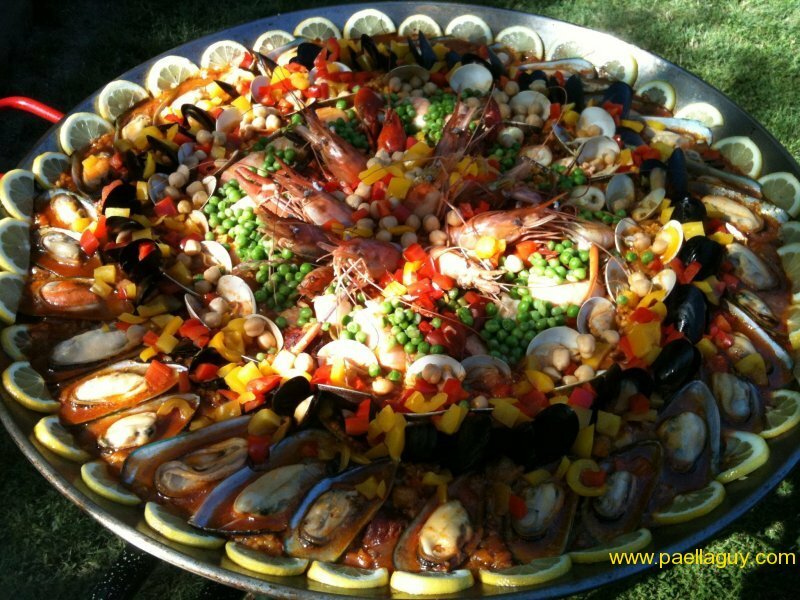 Paella (pie-a-u), is a rather odd sounding word because for starters, we don't use the double "L" sound in the English language and second, the combination of 'ae' is also not a common vocalization. One thing that is unmistakable is the dish, its visual appeal the lore and history of the delite commonly referred to as Spain's national dish. 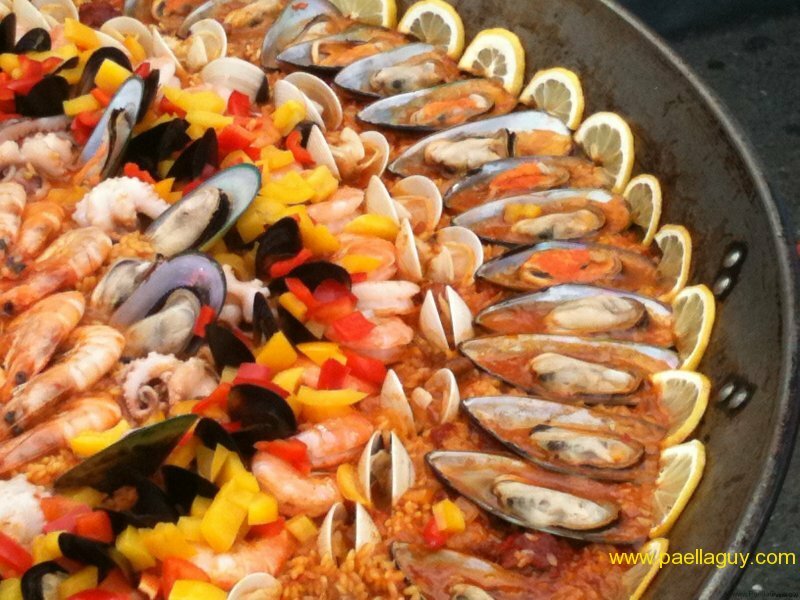 As you may be surprised to learn, paella is a regional Valencian dish and to many peoples' amazement, true Paella Valenciana does not contain seafood. Surprise! Guilty! 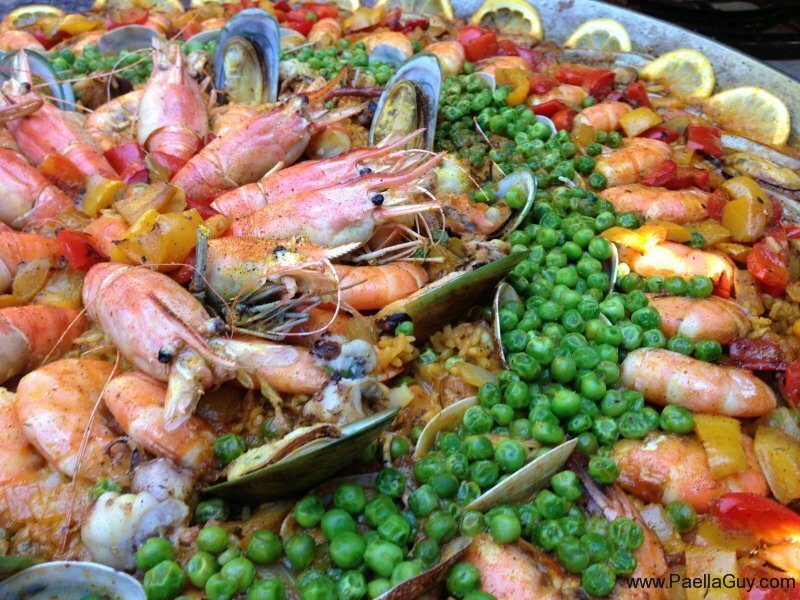 As you will see, I use the term Paella Valenciana with seafood in it, so what...? We're not hung up on nomenclature, this is about enjoying great food & vino with friends and family. Paella as you will learn has no bounds, does not have a right or preferred way of preparation and offers much room for creativity and experimentation. There's a recipe for every cook that sets out to prepare the universally social dish: thank you for that Valencia in "Espana"! It's the kind of dish that holds true to its peasant origins, where it was prepared in the fields with what was at hand or what the cook could find to throw in the paella pan. 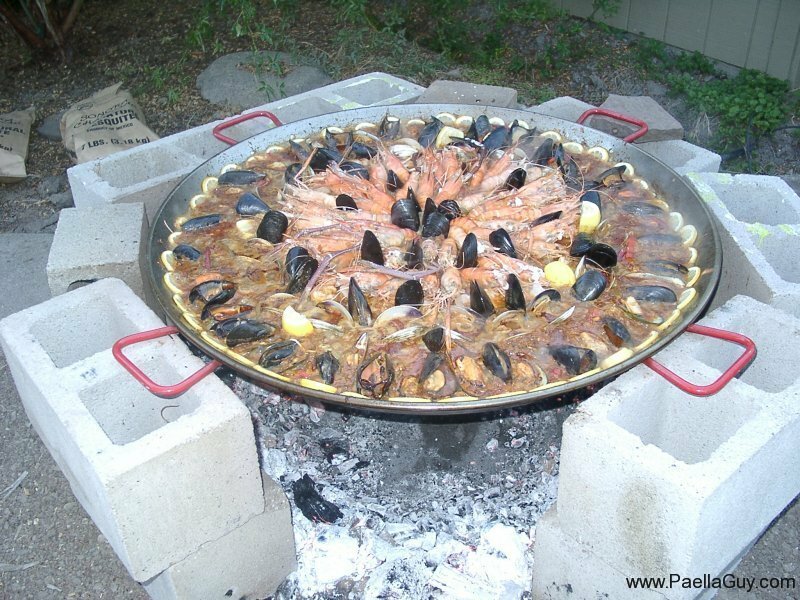 By the way, a paella pan is called a 'paellera'. Keeping true to this philosophy, I like to push the envelope and create what I call 'Extreme Full Flavored Paellas'. I utilize local ingredients where ever possible but, making sure that every bite presents an explosion of flavors. No whimpy paellas here! My paellas tend to be bold, spicy, full-flavored and pair well with a wide variety of wines. 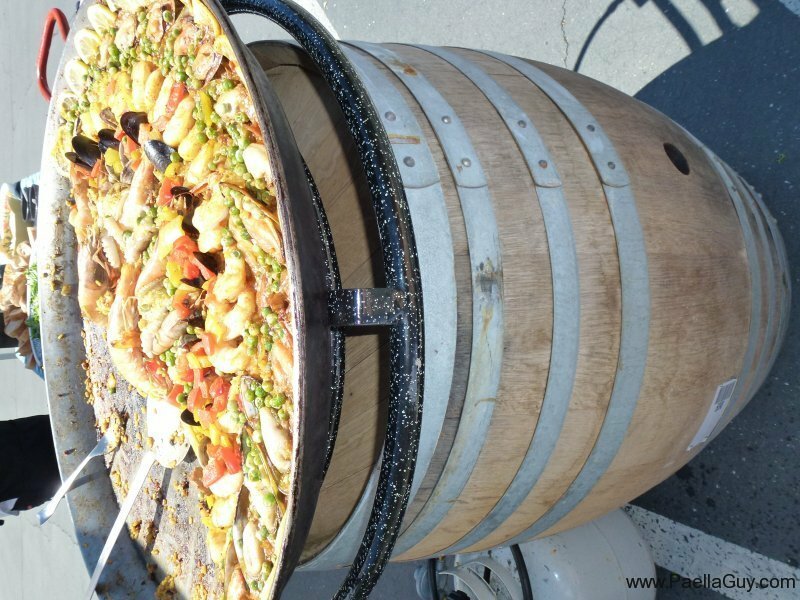 I've always felt that if Bacchus, the wine god, had a favorite food to pair with wine it would be paella! Because of its flavor profile, paella lends versatility to accompany all white wines, as well as pinot noir, rose's, sparking wine and even bold reds. Of course this is only my opinion but, so is that of the food & wine pairing "experts". On occasion, I've managed to pair a paella to a wine's particular profile and personality (so much for avoiding the wine speak). 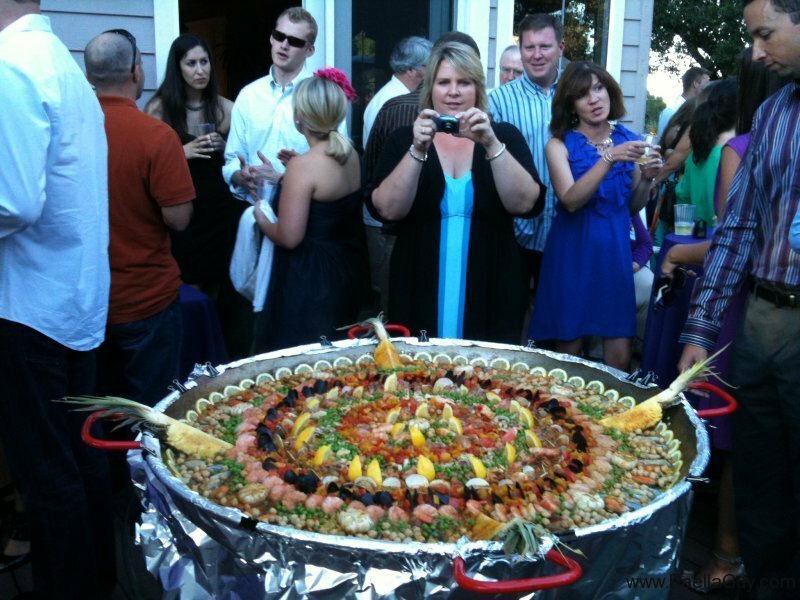 I'm a paella fanatic & I enjoy sharing this extraordinary dish with friends over great vino, if you are every lucky enough to be in Sonoma County, let me know so we can share, Salud!